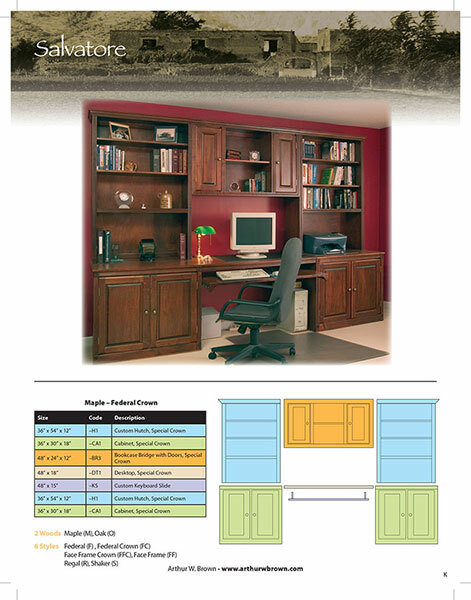 From the Creative Concepts line - a custom grouping of office and bookcase furniture. This manufacturer offers a variety of style options for doors, drawers, hardware, mouldings, and backs. Lights and glass shelves are also available. Contact store for details.